Embroidered with fine hand-beading and sequins. If pink works for you, this is one pink scarf you have to own. Fine hand-beading and sequins on both ends. 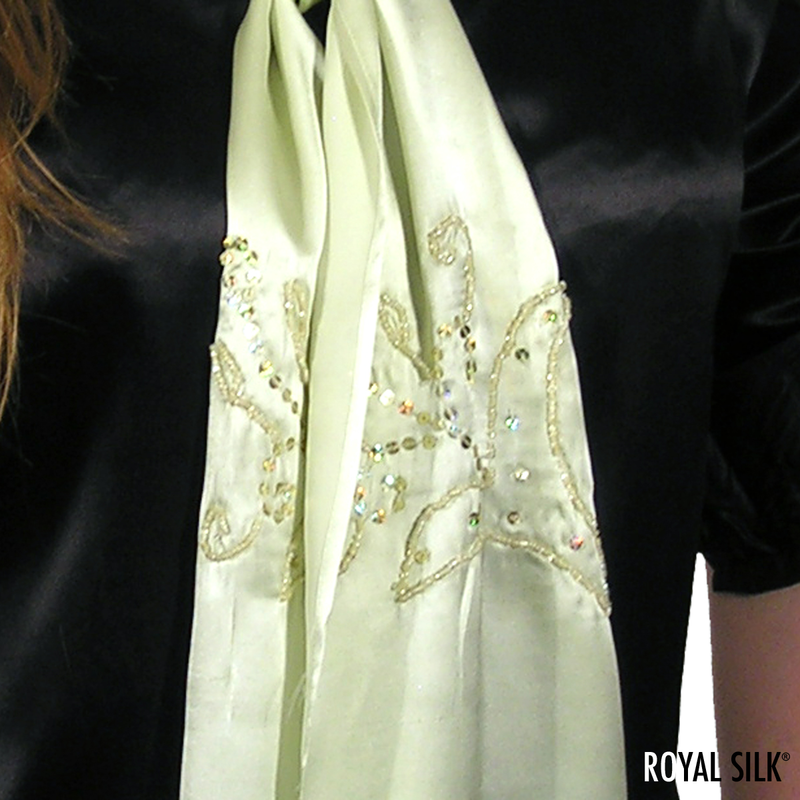 Glamorous and radiant satin silk scarf in a deep olive that will glow sensuously like a scented candle. Fine hand-beading and sequins on two sides. 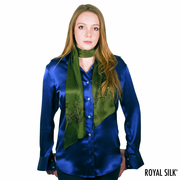 Nice long stylish silk satin scarf in a whisper lime color that is soft, light, airy, and real silk smooth. It wraps, ties, and hangs like a glow charm of desire. This is a gem of an accessory that you will always want by your side. It rolls and tucks easily. Beautifully embroidered with shiny beads and shiny sequins in a vintage peasant design. Pure silk satin that is smooth, soft, and creamy. Hand wash or dry clean. 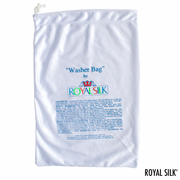 Or machine-wash with Silk Washer by Royal Silk (purchased separately). Length: about 6" by 74".